The latest iteration in the Torque series, the Dainese Women's Torque D1 Out Boots combine several generations of organic and sculptural shape with a more refined and dynamic fit that offers one of the most comfortable and secure boots on the market. Along with unsurpassed comfort, the Torque D1 Boots have a completely redesigned D-Axial system that is centered around strengthening torsion control and increasing airflow into and around the boot. Updated shock absorbing material around the ankle and shin is thinner than previous versions, reducing bulk and weight yet providing higher levels of shock absorption. 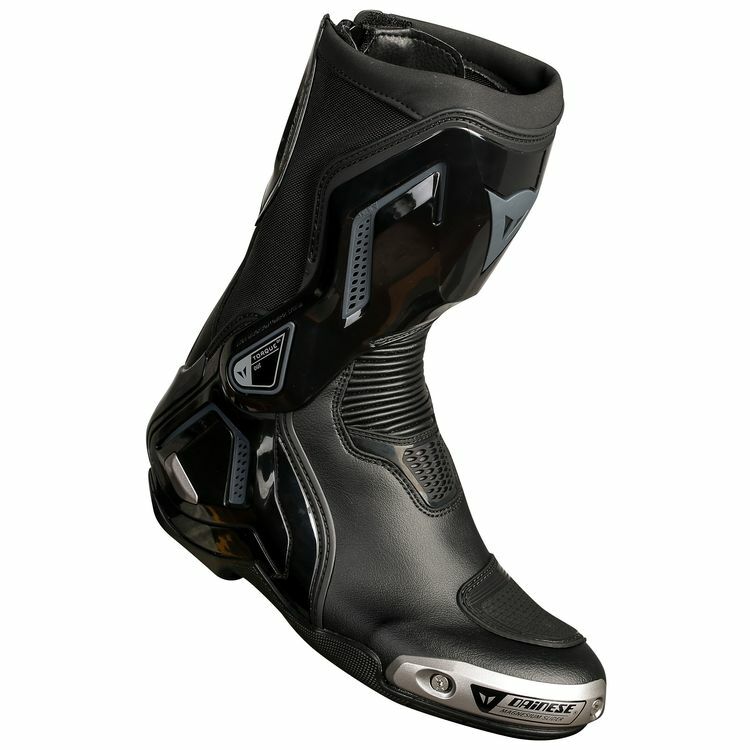 The geniuses at Dainese have not only made the Women's Torque D1 Out Boots safer, but have also designed them to help increase lean angle at the track. When off the bike, the reinforced shift pad has been given an integrated flex zone to increase mobility. Subtle changes like the type of internal foam and the addition of magnesium sliders have allowed the Torque D1 to come in at 40g lighter than the older RS, keeping you light on your feet and more maneuverable in the saddle. I liked the look of this boot, the protection, and the comfort it is supposed to offer. I hope it lives up to the video I watched on your site.